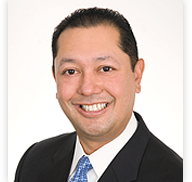 Adrian R. Guerra is a partner at Aleshire & Wynder. He serves as City Attorney for the City of Grand Terrace, Interim City Attorney for the City of La Cañada Flintridge, and Assistant City Attorney for the cities of Irwindale and Glendora. He also serves as Special Counsel for the Housing Authority and Community Development Commission of the County of Los Angeles. Mr. Guerra has previously served as Assistant City Attorney for the cities of Monterey Park, Huntington Park, Cerritos, San Dimas, and Bell. Mr. Guerra advises cities on many aspects of municipal law. He regularly advises city councils, planning commissions, and city staff on ordinance, resolution and contract preparation and interpretation, the Brown Act, Public Records Act, Political Reform Act, CEQA, and land use, zoning, and subdivision law. Mr. Guerra represents public agencies in litigation, including writ of mandamus actions that challenge land use and administrative decisions. He defends actions alleging violations of due process, 42 U.S.C. §1983, and other equal protection laws, as well as general civil litigation matters, including breach of contract and unlawful detainer. He has also represented public agencies in appellate proceedings before the California Court of Appeals and the U.S. Court of Appeals for the Ninth Circuit. Advising on the interpretation, implementation, and enforcement of federal and local regulations governing each of these programs. Defending complaints filed with the U.S. Department of Housing and Urban Development and the California Department of Fair Employment and Housing. Conducting training sessions with respect to implementation of the Public Housing and Section 8 programs, conducting informal hearings, compliance with federal and state fair housing laws, and implementation of disability based laws, including reasonable accommodation procedures. Litigating various matters including unlawful detainer actions to terminate public housing leases, writ of mandamus actions to defend Section 8 terminations, and general civil litigation matters.